How to address common relationship issues? For a vast majority of the individuals, families and couples there are common conflict themes. These include: mood disorders, lack of civility and respect, resentment, poor communication, lack of intimacy, infidelity, alcohol and substance abuse, financial and parenting issues to name a few. One thing is certain, there is no guarantee of “happily ever after” especially in this day and age when so many things can get in the way of your relationship. Relationships take work and attention to ensure a good marriage. Life has a way of interfering in our relationships. Couples can get lost in the day to day grind of life. We have to make time for one another to keep our connection strong; planning is key. Many of the common issues listed here are addressed in the following case studies. Dan and Wendy have been married for 14 years. They dated for three years prior to marriage. They have three children ages 6, 9 and 12. Dan’s mother has a history of mood disorder though it was never formally diagnosed. She lives in the past having never gotten over the infidelity of her husband, their subsequent divorce and his marriage to the other women. His Dad is a recovering alcoholic. Dad has been sober for ten years but he is difficult to get along with as his second marriage is also an unhappy one. Dan is currently unemployed because he can’t get along with co-workers. He has no friends; all have abandoned him because of his temper. Dan tends to hold grudges and he writes people off if he perceives that they have wronged him. He has few interests and spends his time surfing the internet or playing video games. Dan lacks motivation and drive and his concentration is poor. He stays up until four or five in the morning. Wendy is scared because he is unmotivated to look for work and they are now in financial trouble. They bicker over his alcohol use and his inability to share his feelings. I gave Dan the list of depressive symptoms and asked him to put a check next to those that applied to him. He checked 8 of the symptoms listed. I encouraged him to have a psychiatric evaluation for medication to address his depression and use of alcohol to self-medicate. The doctor put him on the appropriate medication. I worked closely with the doctor to ensure a unified treatment approach. Goals were set for him and for them as a couple. First part of his education was learning about his depression. I pointed out that it was not his fault. More than likely he inherited this from either one of his parents. To start him on his path to recovery, I encouraged him to have more structure in his day. That meant getting up at 8pm and going to bed no later than eleven thirty. He was also to take a walk at least 4 times per week for forty minutes since they could not afford a gym membership at this time. Part of creating his plan was to pick the days that he was to walk each week. He was also encouraged to reconnect with his friends and to avoid the use of alcohol. After a few weeks on the medication he began to feel better. In the meantime, I continued to educate both he and Wendy about his depression. Once Dan was feeling better, we began to address the marital issues created by his depression. He was encouraged to make “I feel statements”. These type of statements help address emotional withdrawal by allowing the partner to understand what their loved one is thinking and feeling, ultimately helping them feel more connected. Saying “I feel,” is also a signal to alert Wendy that Dan is trying to communicate effectively. Hopefully this signal will help both Dan and Wendy to be less defensive in their communication. I also encouraged a date night at least twice per month and advised that these dates do not have to cost a lot of money. Just getting out together, walking or going for coffee or ice cream was fine. The idea is to spend some quality one-on-one time. 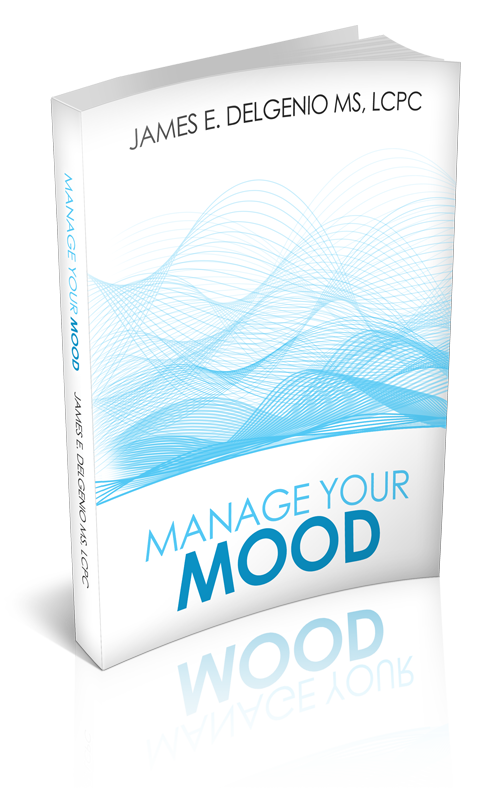 Mood disorders are a chemical imbalance in the brain but also include environmental issues and personality traits. About one in seven individuals will at some point in a marriage experience it. Situational depression is created by marital conflict, job loss, grief and ongoing health issues. These will surely affect your relationship. Many disconnects in a relationship begin when with mood disorder, alcohol or substance abuse and situational depression. If these issues are not addressed, it is unlikely that progress will be made in couples counseling. Many studies show that there is usually a history of mood disorder or alcoholism on one or both sides of the family. It is imperative that the therapist be direct with their clients about the assessment, and encourage a psychiatric evaluation to determine if medication is appropriate. Once this is addressed, it is very possible to resolve many of the couple issues. http://takenotelessons.com Effective on line, one on one, SAT, ACT, GRE, standardized test preparation, via face time or skype and much more. Very energetic blog, I liked it. Will there be a part 2?